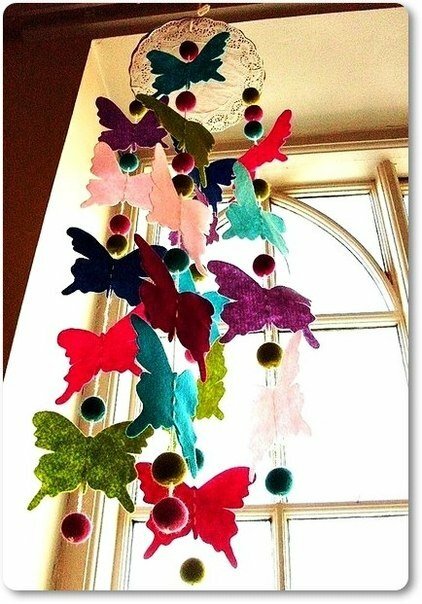 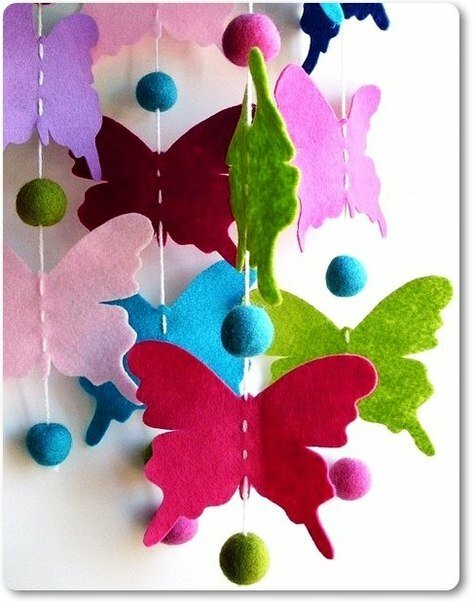 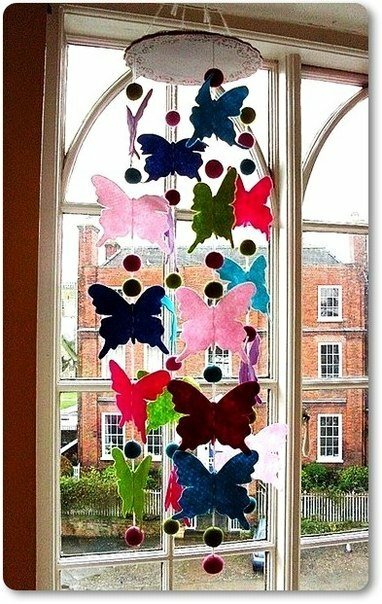 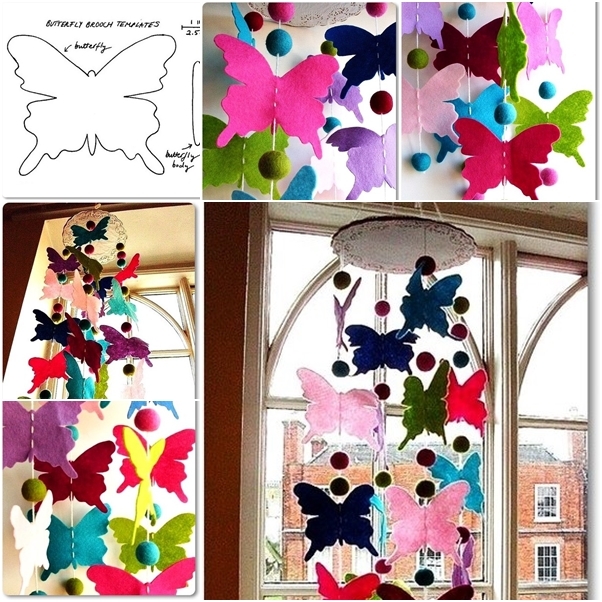 Add some colorful butterflies mobile for the coming Spring, they are easy to make by cutting the template and thread them together. 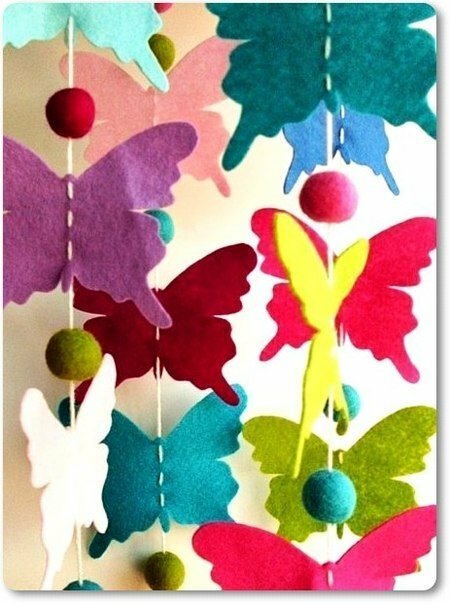 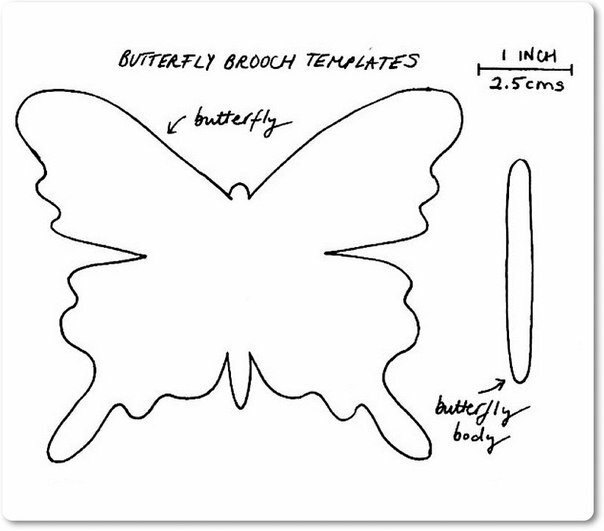 You can change to use card stock paper as alternative which is easier for kids to get involved, too. 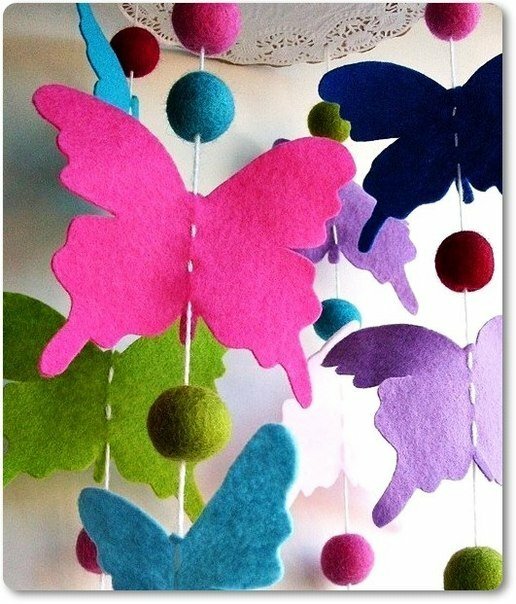 They will be happy to make room decorations themselves.